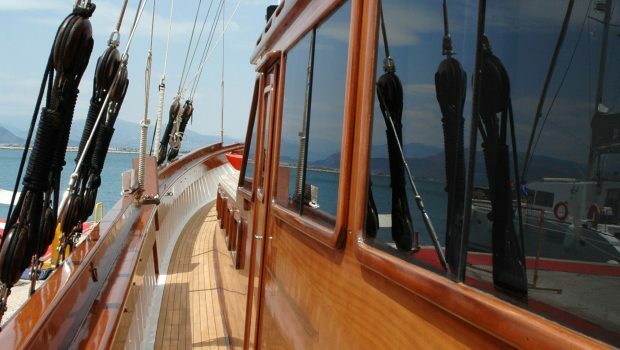 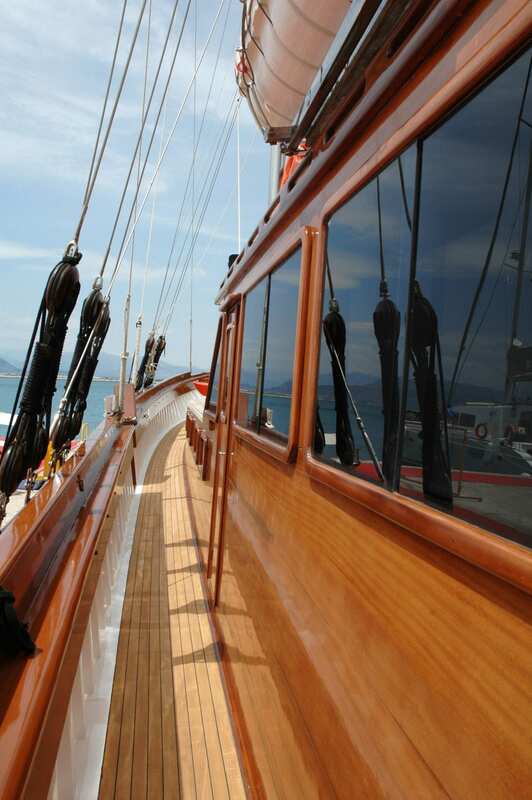 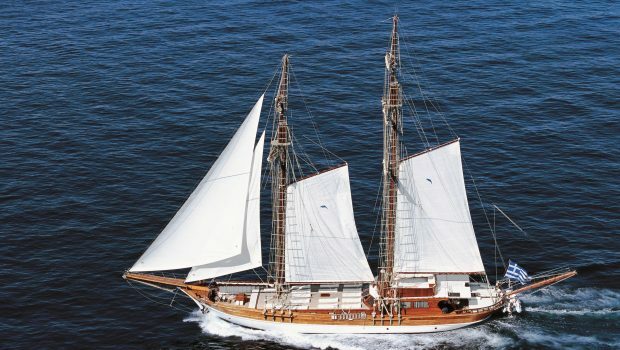 MATINA is an impressive motor sailer of 125 feet with a beam of over 30 feet, making her extremely wide, and a sail area of over 1500 square feet. 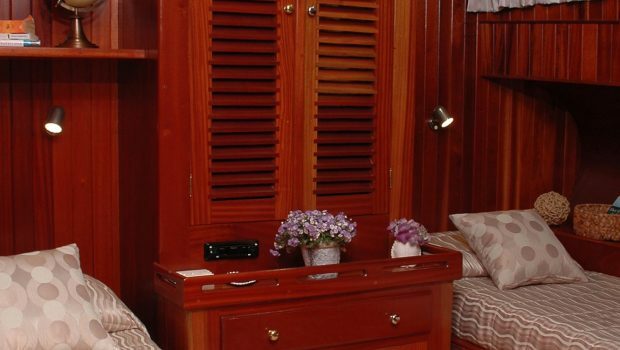 She is perfect for the large group of up to eighteen passengers which are accommodated in eight large staterooms each with their own bath en-suite. 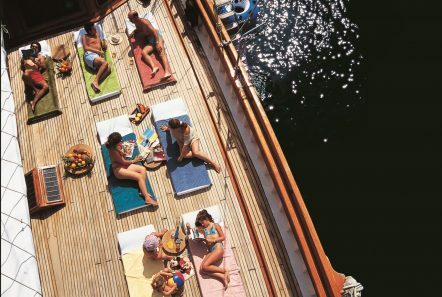 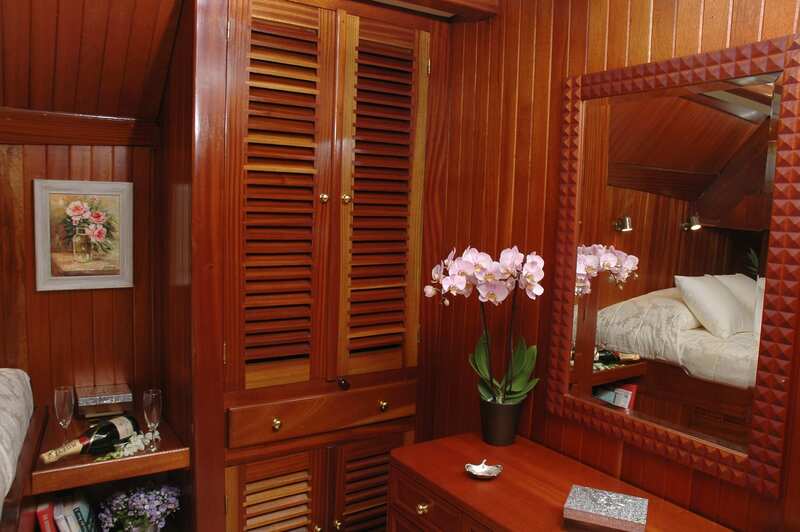 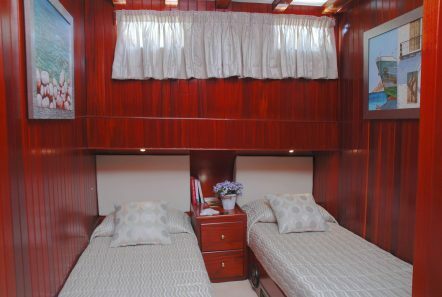 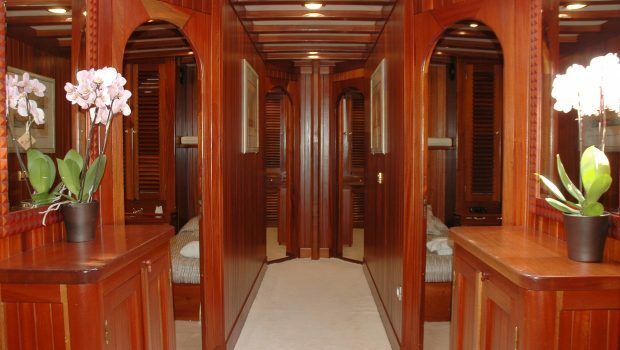 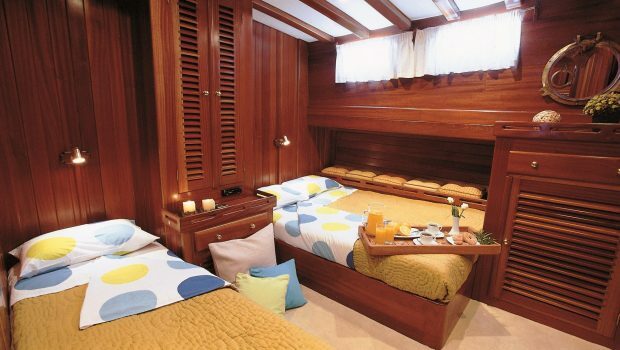 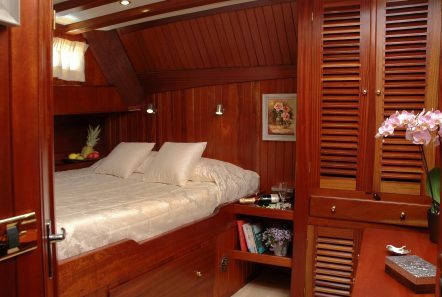 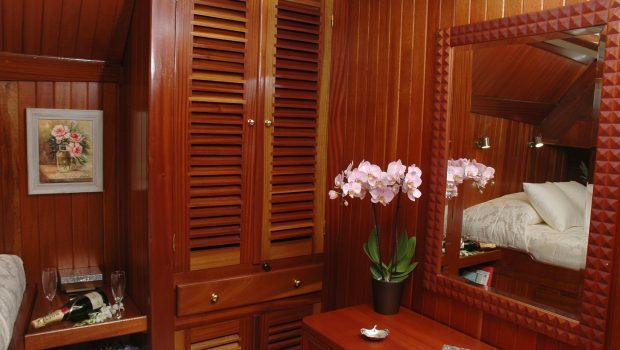 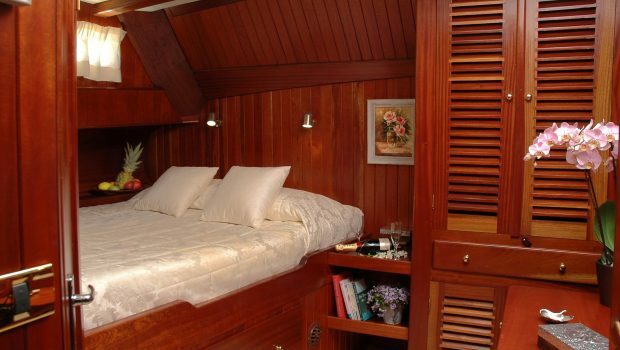 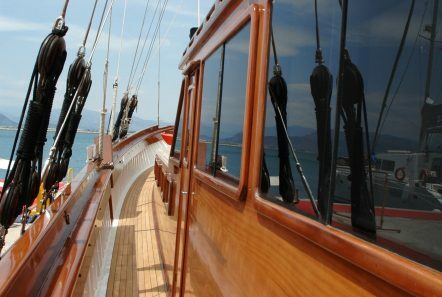 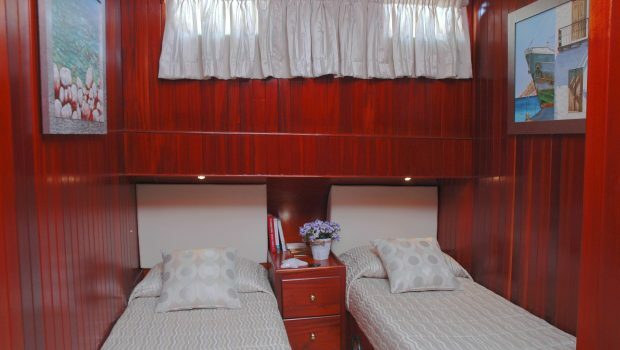 There are two staterooms with a double bed, four with twin beds and two each with a double and single bed. 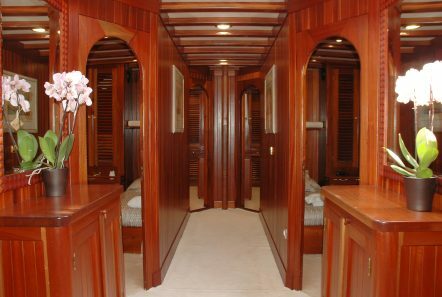 Two Pullman berths make for 20 pax total. 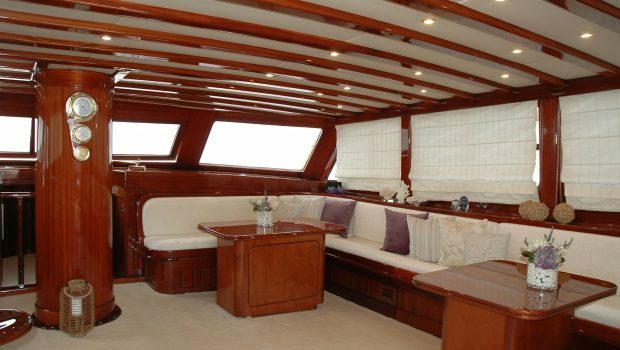 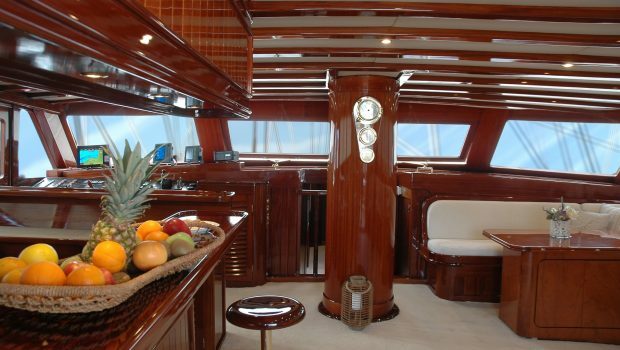 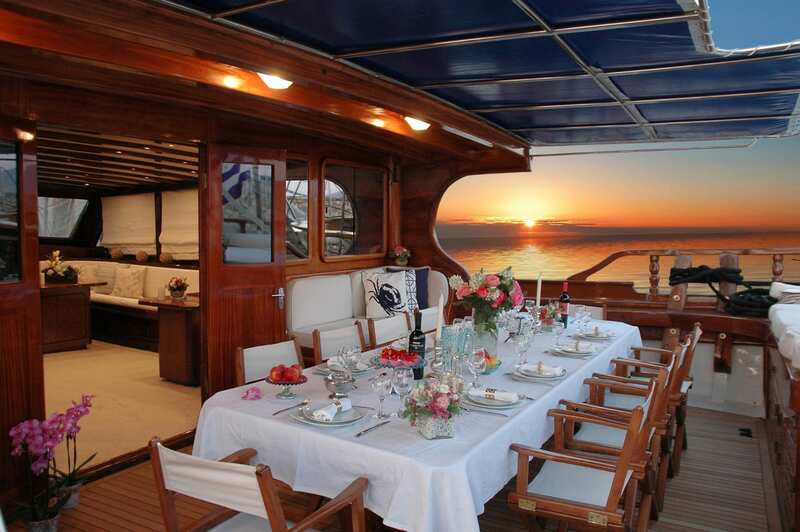 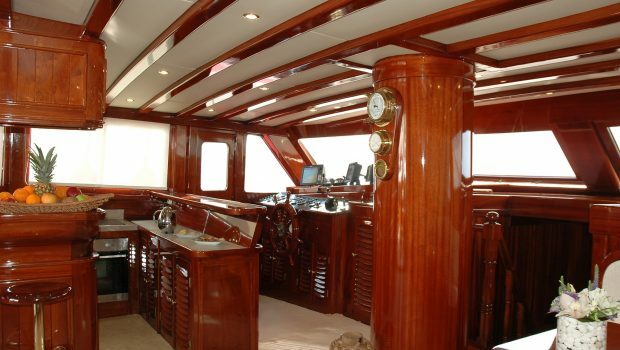 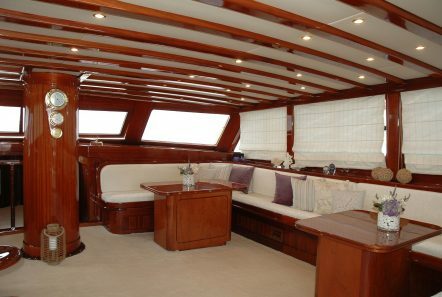 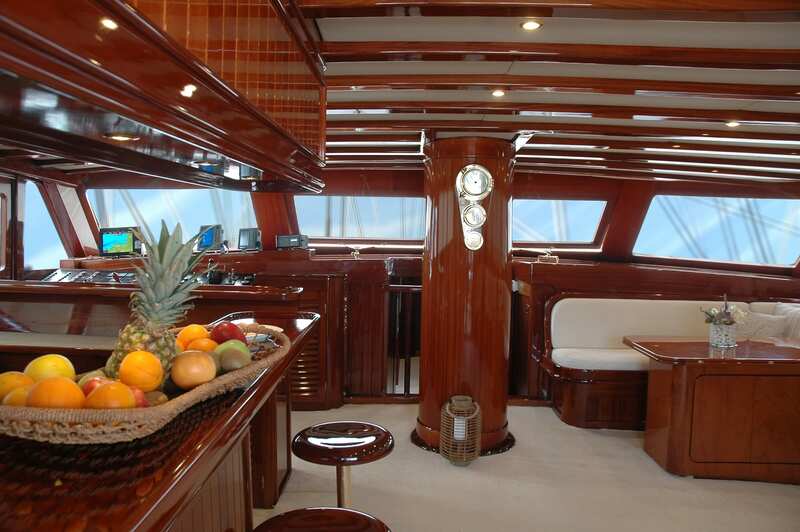 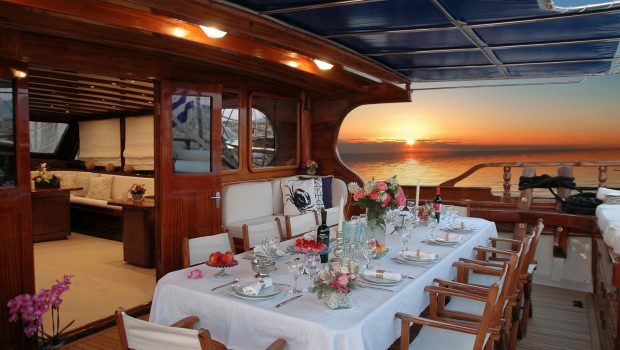 Dining is enjoyed in her mahogany paneled salon around a teak table that seats up to eighteen or on the aft deck al fresco. 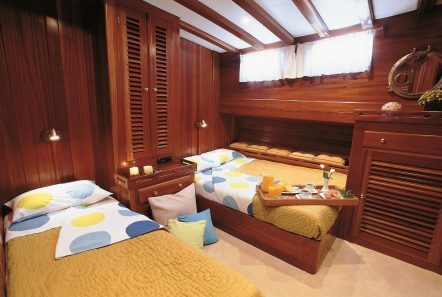 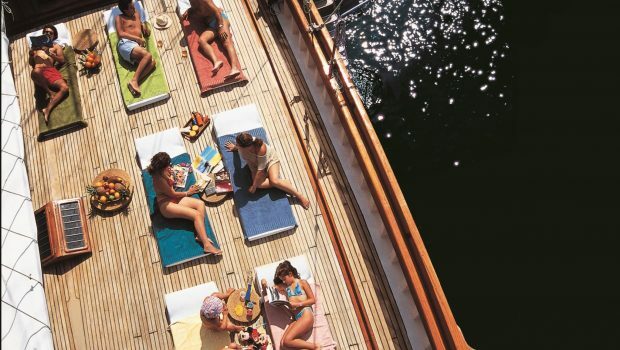 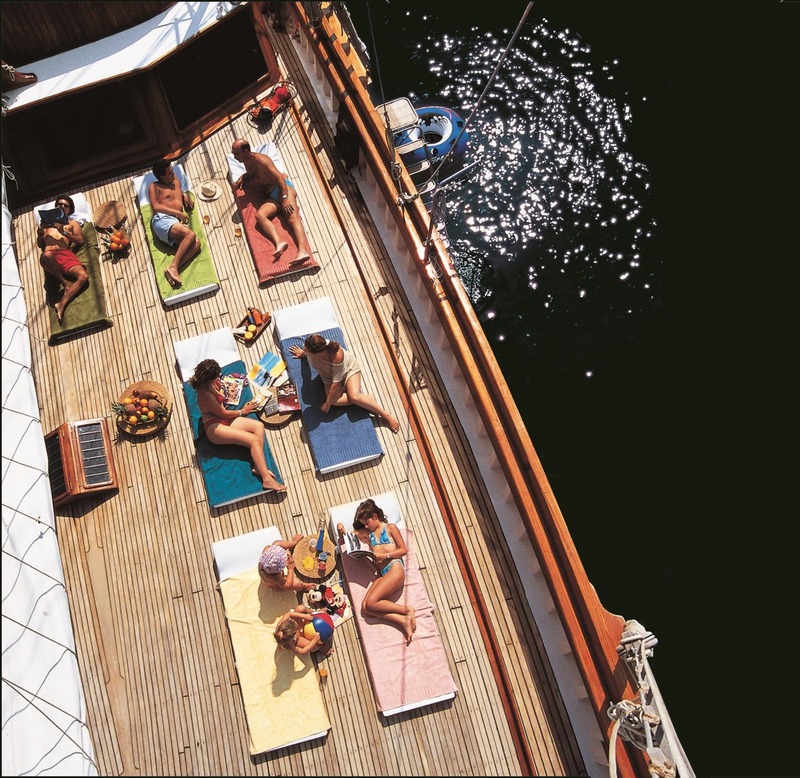 On top of her main cabin sun mattresses are laid out for all to relax in great comfort. 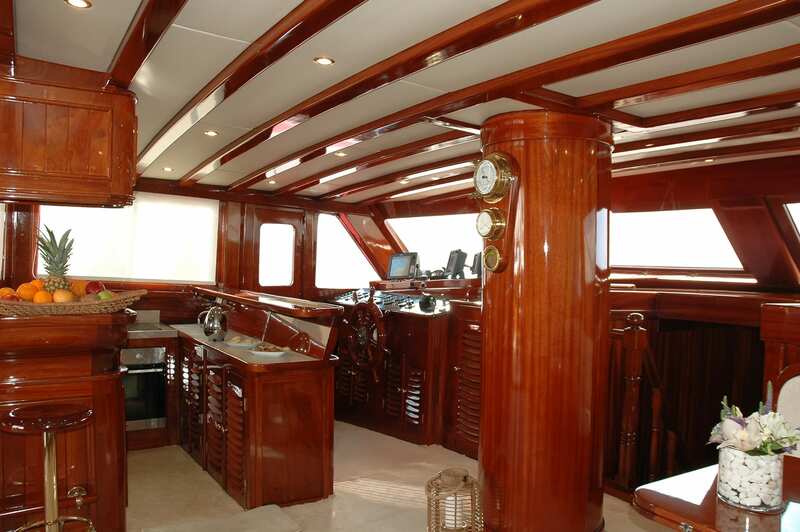 She can cruise with 49 passengers for day cruises. 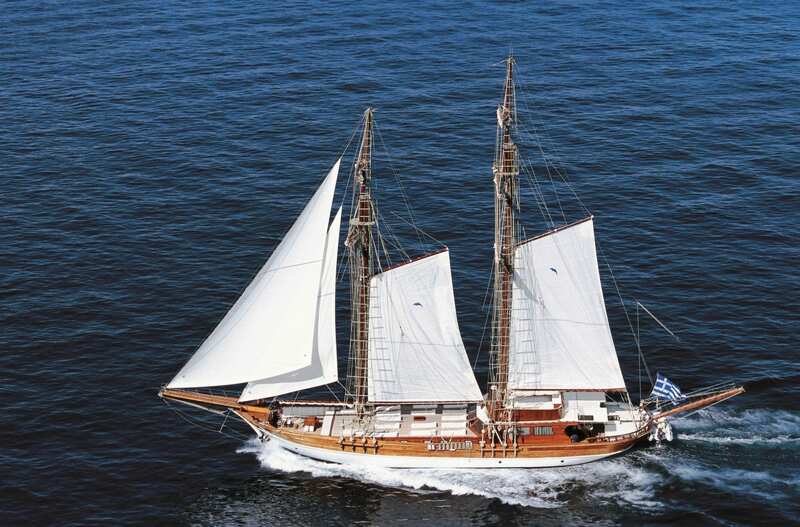 MATINA is an impressive motor sailer of 125 feet with a beam of over 30 feet, making her extremely wide, and a sail area of over 1500 square feet. 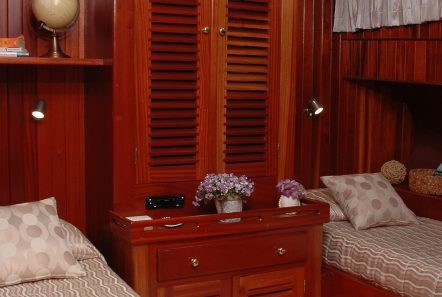 She is perfect for the large group of up to eighteen passengers which are accommodated in eight large staterooms each with their own bath en-suite. 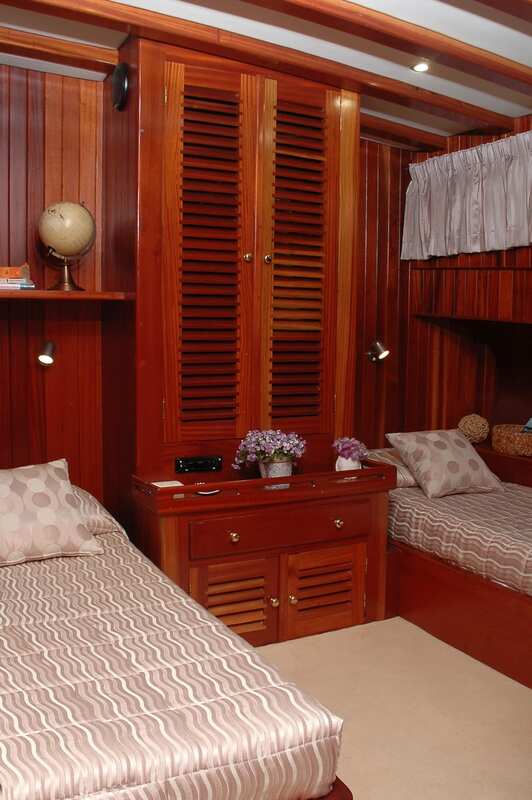 There are two staterooms with a double bed, four with twin beds and two each with a double and single bed. Two Pullman berths make for 20 pax total. 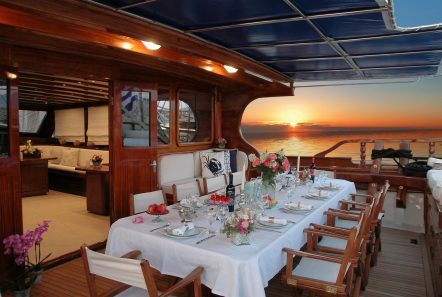 Dining is enjoyed in her mahogany paneled salon around a teak table that seats up to eighteen or on the aft deck al fresco. On top of her main cabin sun mattresses are laid out for all to relax in great comfort. She can cruise with 49 passengers for day cruises.